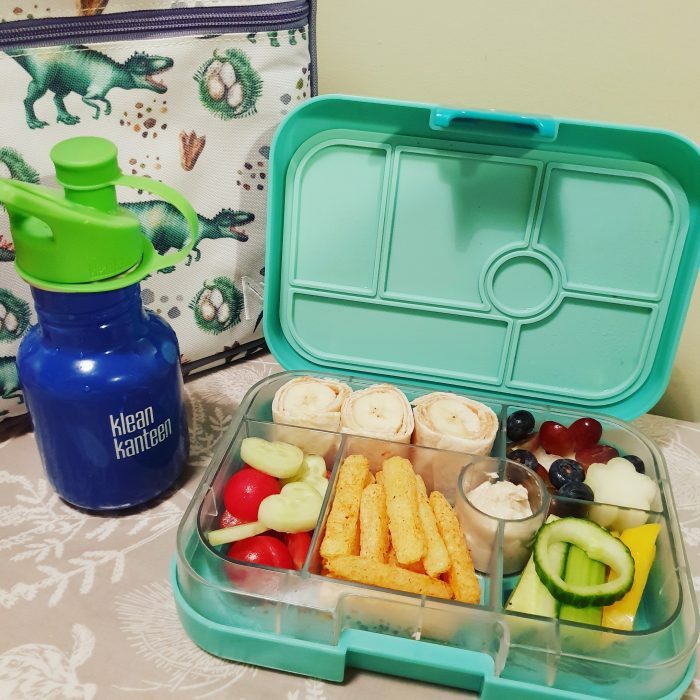 I’ve been asked a lot of questions like, ‘doesn’t it take you ages?’ or, ‘is there a lot of food wasted when you cut his food into shapes?’ The truth is they are really quick and inexpensive to put together and there is very little waste. Any off cuts of cheese are put back in the fridge to go on sandwiches, any bits of fruit go in the freezer for smoothies and any bread is made into breadcrumbs. 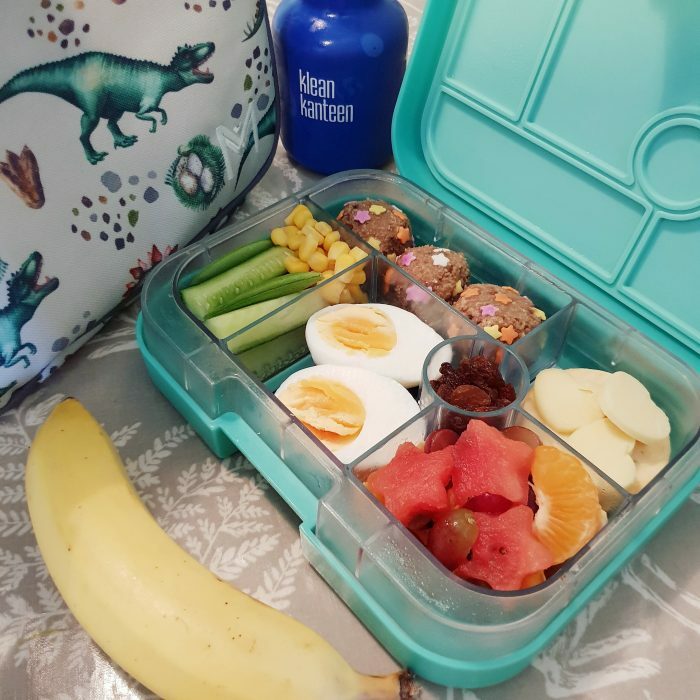 I’ve decided to do a post each month so all of my packed lunch ideas are in one place and you can find them easily if you fancy a nosy at what Harry’s eating! I also share his lunches a lot on my social media. You can follow me on Facebook here and Instagram here. 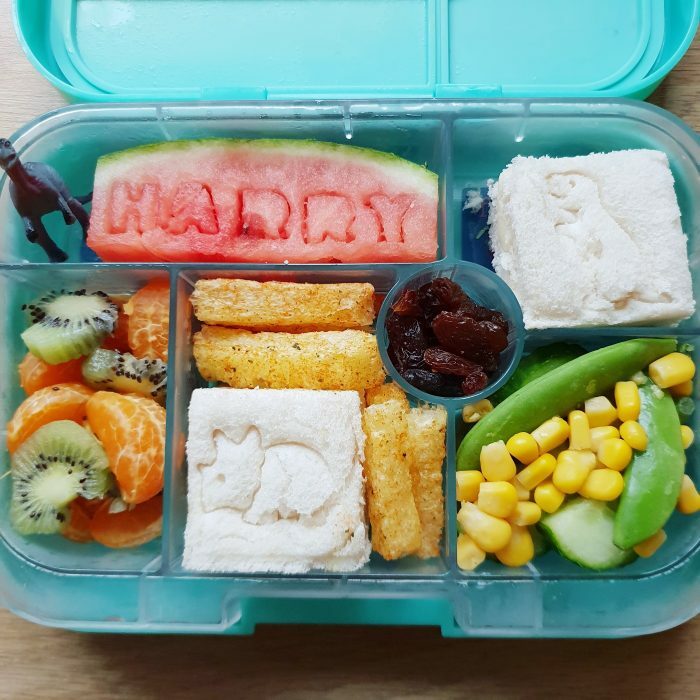 All of Harry’s lunches have been served in his Yumbox. We’ve had this lunchbox for a few years now and it’s still as good as new. It’s great for sending things like yoghurt or houmous without the worry that they will leak and perfect for sending lots of variety, if you have a little foodie who loves picky food like mine! 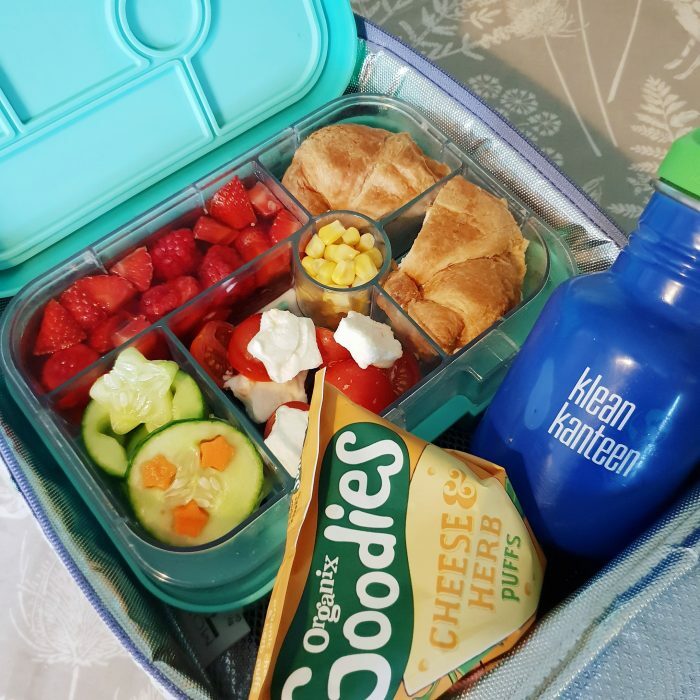 I then put it, along with his drink and anything else he may be having in his Montii lunch bag which is really handy as it comes with a gel ice pack that fits perfectly, the length of the lunch bag in a separate compartment. Banana and peanut butter tortilla wraps (always best to check with your school first to see if they allow peanut butter), Organix crisps, melon and grapes, tomato and cucumber, houmous and veg dippers. The shapes on these sandwiches were made using our Lunch Punch. Harry loves having little dinosaurs on his sandwiches! The letters were made using food cutters, pressed lightly in to the watermelon so it didn’t go all the way through. 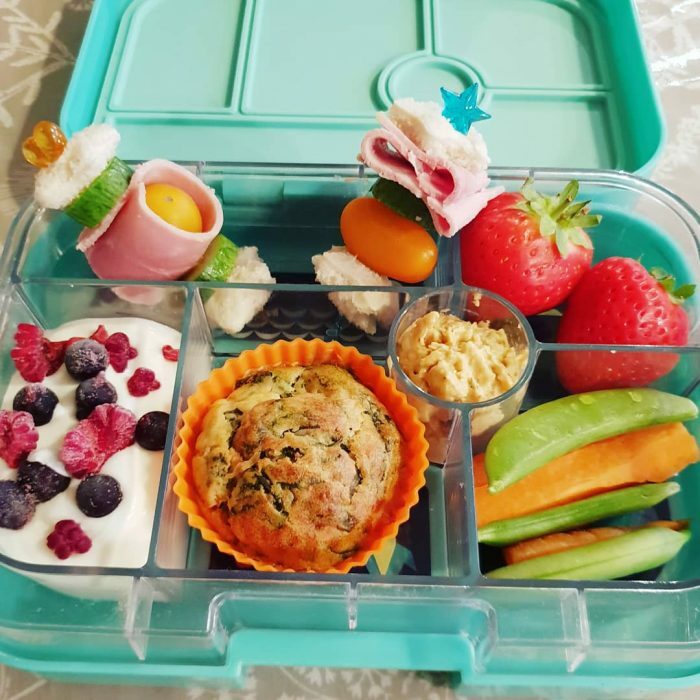 Cream cheese bagel, tomato, hard boiled egg (you’ll see these a lot as Harry loves them and they’re a really easy way of including protein), melon kebabs and yoghurt with freeze dried strawberries on top. I also packed an Organix goodies bar and an apple. 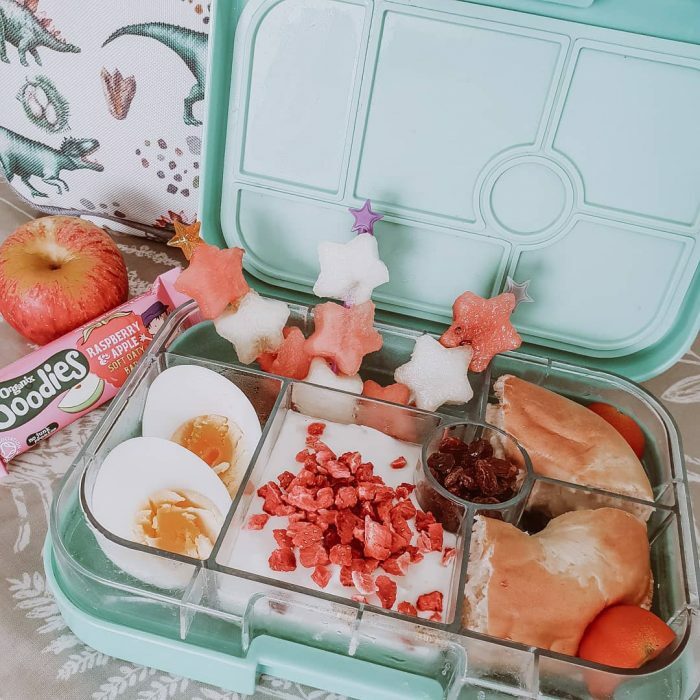 Cheese and crackers is another great quick and easy lunch for my little foodie. Here he had it with a hard boiled egg, cucumber, sugarsnap peas, sweetcorn, watermelon, satsuma, grapes, raisins and some banana and peanut butter energy balls. Ham and cheese croissant, tomato and mozarella salad, cucumber with some carrot stars, sweetcorn and fruity jelly. (I just buy a pack of jelly, throw in a load of fruit when I make it up and voila! He also had some Organix goodies cheese and herb puffs. 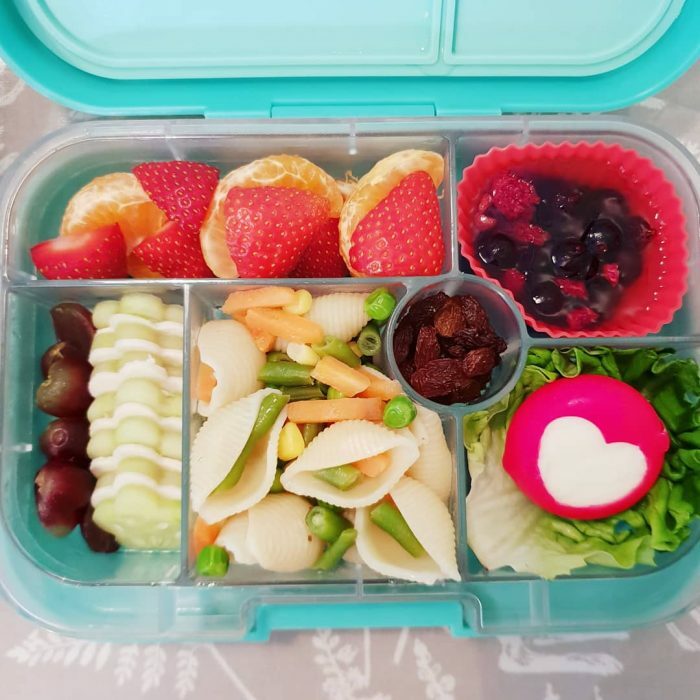 Pasta salad with mixed veggies and some dressing, a babybel cheese, cucumber and chicken slices, grapes, strawberries, satsuma and fruity jelly. These silicone muffin cases are great for making up individual portions to use throughout the week! 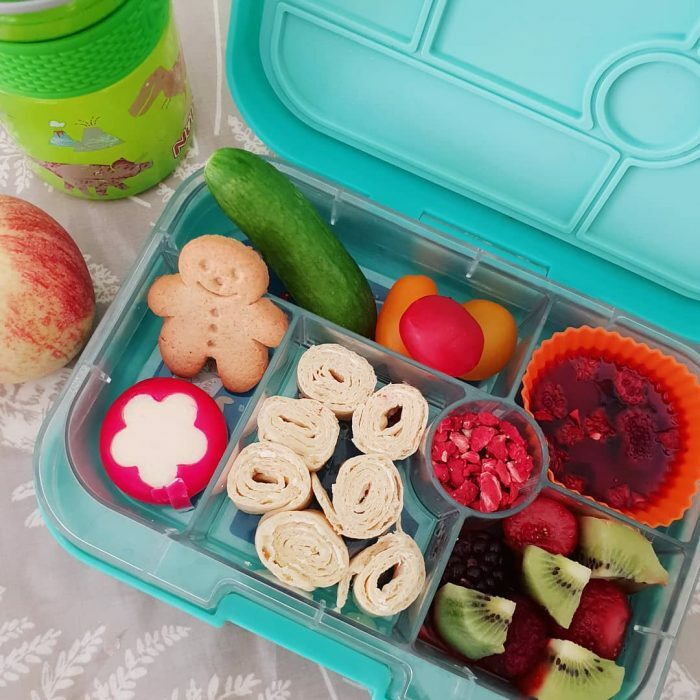 Cream cheese wraps, babybel, cucumber, tomatoes, kiwi, mixed berries, fruity jelly, freeze dried strawberries and an Organix gingerbread man. I also put an apple in. Sandwich kebabs! You can get the skewers here. Spinach and feta muffin, sugar snap peas, carrot, houmous, strawberries and natural yoghurt with frozen berries. By lunch time the berries defrost to make the yoghurt fruity without lots of added sugar! 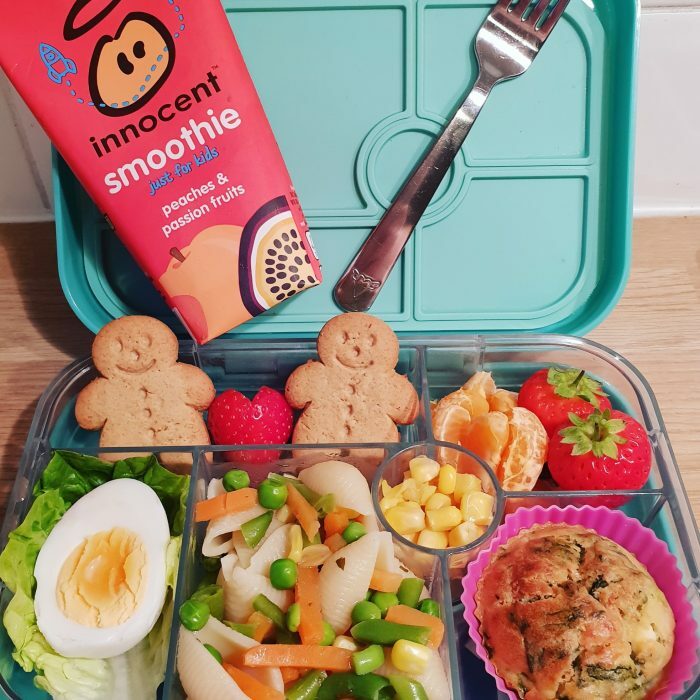 Pasta salad, spinach and feta muffin, hard boiled egg, sweetcorn, strawberries, satsuma, Organix gingerbread men and an Innocent smoothie. Cheese and crackers, hard boiled egg (I told you they feature a lot!) sweetcorn, sugar snap peas, cucumber, tomato, Organix rice cakes, mixed berries and a banana. 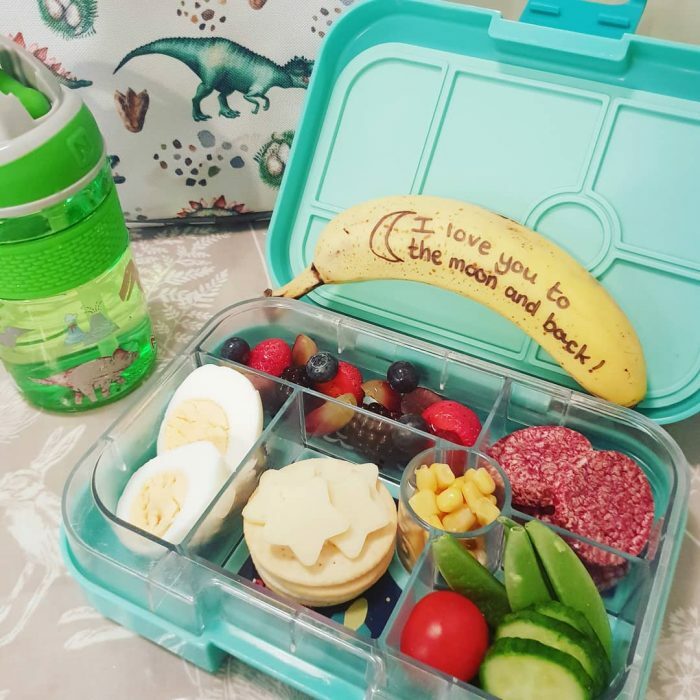 What’s your favourite packed lunch food for your little foodies? I’d love you to share!